MHT CET Question Paper 2019: The Entrance Exam is being conducted every year by the Government of Maharashtra, Directorate of Technical Education, Maharashtra State, Mumbai. It is a state level entrance examination, also known as MH CET. It will be conducted in the month of May 2019. There is enough time so you can complete-test-prepare again for the exam. To Check Your Preparation, you will need either MHT CET Previous Year Papers or Sample/ Model Papers. Luckily we have found some of them and sharing with you here in the below table. Candidates need to appear for 3 Papers, Physics/ Chemistry, Zoology/ Botany (Biology) and Mathematics. You can check MHT CET Previous Year Question Papers with Answer Key here in the table. The Papers of 2017 are also having Answer Key so it will be really helpful to test your preparation. 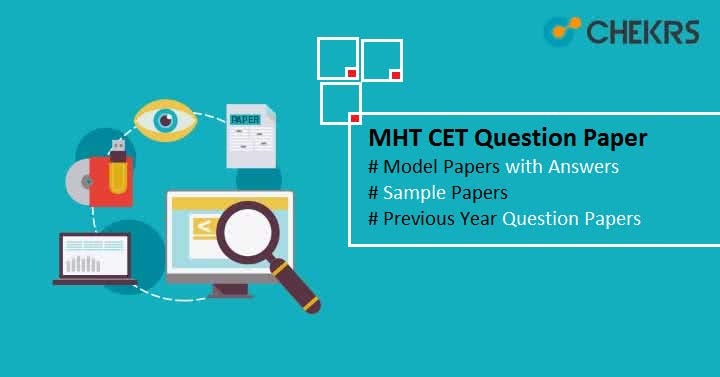 We have also collected different sets of MH CET 2016 Papers. Hope you will find them helpful. Candidates can get and use sample papers from another exam which are based on the 11th 12th basis. Candidates can also prepare with the syllabus and books of the previous exam. But you have to take care of the syllabus more than anything. Additionally, we are also trying to find some of the sample papers for you so you will not need to wander here and there. How to Use MHT CET Question Papers? Candidates need to Start their Preparation using the MHT CET Syllabus and exam pattern. When you feel ready for the examination, Download all the MHT CET Previous Question Paper with solution, sample paper and start solving them. After solving these paper check your response and time consumption. Now If you found wrong answers, prepare the marked topics again. Also, Do the revision of complete syllabus on regular interval. So, We have provided MHT CET Question Paper and sample paper and we hope you will find this article and MHT CET Papers helpful. Good Luck. Keep Visiting.